Multiplayer gaming: everyone loves it, right? With some heavy duty clashes of gaming titans this year and some slanging matches between publishers, which multiplayer game has eventually come out on top as multiplayer game of the year? We think this one may really surprise you. As we run down each position, our writers will have their say on each title, telling you exactly why they think each game is so good. We’d love to hear your thoughts and picks for this category too, so please leave comments at the end of the article. In reverse order then, let’s get it on! 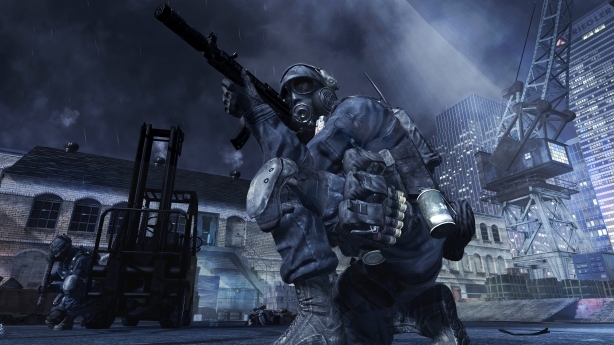 Adam Cook: Modern Warfare 3’s multiplayer took me by surprise. I was expecting more of the same and to be fed up with having a negative 20 kill/death ratio every match, but the passive killstreaks that have been added (allowing a player to die 20 times, but as long as they get 3 kills at some point they will be rewarded and can help their team) are a stroke of genius. Add to this the fantastic new Kill Confirmed mode whereby kill-stealing is irrelevant and team-play is all important and you’ve a superb package to keep you going forever. On top of that, Spec-Ops is more fun than I could ever have imagined, iterated on to take the mode to a completely new level. Jason Hendricks: The online multiplayer giant does not disappoint this year. The core gameplay mechanics have been tweaked for better control which still results in some of the most responsive combat in console gaming. Plenty of new and old maps are here to enjoy along with a few new weapon mods. No doubt this will top the online charts in total hours of play. Martin Baker: The first Portal was a massive hit, something that people wasn’t really expecting. 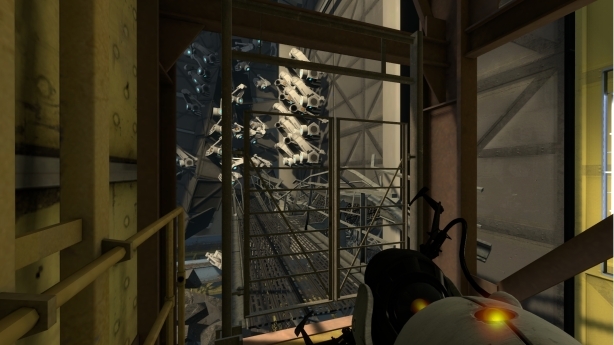 The game felt more like a tech demo than anything else, but it was so popular that it wasn’t that much of a shock when Valve announced the development of Portal 2. What was a shock though was the fact that Portal 2 was going to have co-operative multiplayer. “How was that going to happen?”, “There’s only one Chell” we were all collectively shouting at our screens. Well, Valve showed us exactly how that was going to happen, with one of the most enjoyable co-op experiences this year. The way that Valve got around the idea was not to have multiple people play strange clones of Chell, we got the opportunity to play as two robots, both with personalities of their own and who each added something special to a game that was already pretty special in itself. One of the most impressive aspects of the multiplayer in Portal 2 was the ability to play co-operatively with someone playing on the PC if you’re on a PlayStation 3, and vice-versa. This has been done before but never in something as successful as Portal. Without it, I’m not sure that the multiplayer would have been as popular, and amazing, as it is. Mark Bridle: Simple, this one. Playing with friends (or strangers) doesn’t need to be competitive, yet online it almost always is. Portal 2 walked a different path and, as you would expect from a Valve game, it walked it brilliantly. Portal 2 was the most fun I had online all year and the multiplayer component completely validated a package whose single player was inferior to the original game. Robin Parker: For years, co-operative games were lost by the wayside – the popularity of online Deathmatch play and MMORPG’s seemed to have a stranglehold over couch-based co-op. But over the last few years, the two-player team-based experience seems to have made somewhat of a comeback. Maybe it is the clearer, high-definition displays we are now accustomed to, which have made split-screen play a more enjoyable experience. Maybe it is more powerful machines that can now support two players in the same gameworld at the same time. But either way, it is a welcome change. And Portal 2 takes teamwork to a whole new level. Both players must work seamlessly together to clear all of the co-op stages in the game. Timing is everything, as sometimes split-second reflexes and precise aiming is really the order of the day. Communication is a must, as the game forces you both to strategise and approach each level tactically. This can obviously lead to a lot of frustration and some inevitable arguments – but the levels are so cleverly designed that it is a joy to play through, and you feel a real sense of satisfaction when you clear an area. Tony Windebank: As a multiplayer package, nobody this year has done it better than Epic Games. The amount of things you can do is brilliant and extremely entertaining. When you are with friends, the developers have essentially made the entire game a series of multilayer modes! 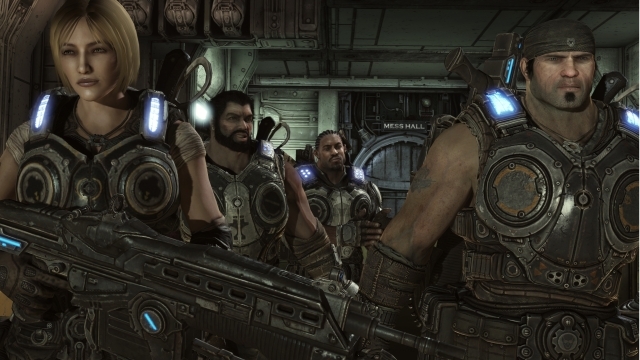 The new weapons and new modes are brilliantly executed and the map design is cleverly made and a special mention goes out to Horde 2.0, as the sheer carnage is brilliant and working as a team has never been so important, and it’s because of this that Gears 3 has the best multiplayer of the year. Jason Hendricks: The bread and butter of this year’s instalment is its various multiplayer modes. Great controls and weaponry cam be used in competitive or cooperative play. If you grow tired of the deathmatch types, give the excellent Horde 2.0 mode a spin. Colm Ahern: I’m not a big multiplayer guy and that’s what makes my next words huge: PLAY GEARS MULTIPLAYER! It’s excellent. From Beast mode to Horde, to the good old fashioned team death match. Everything in this package equals hours of joy. 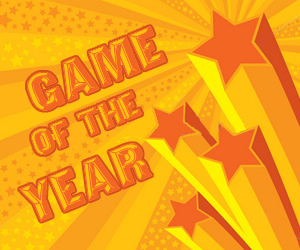 Keep coming back throughout the day and the week for more Game of the Year 2011 content.